Honor Flight Upstate SC is a non-profit, volunteer-based program that is dedicated to honoring our veterans and the sacrifices they have made to keep our nation safe and our people free. 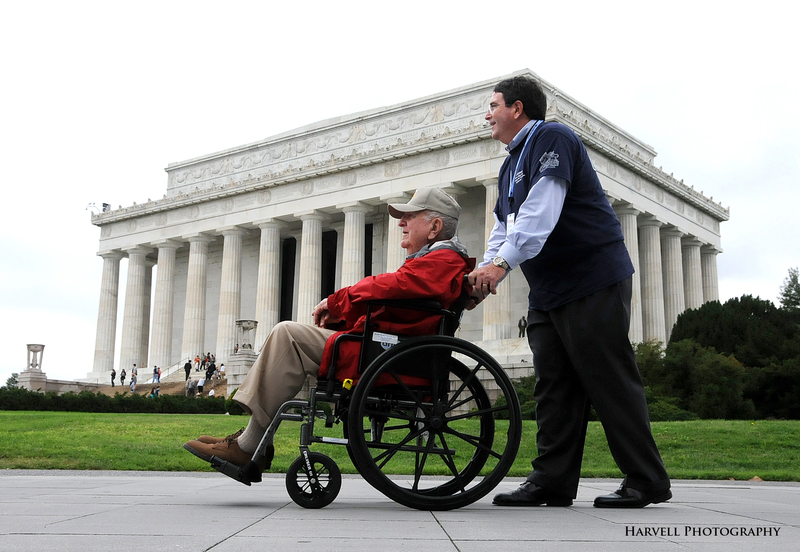 We are affiliated with the national Honor Flight Network and serve veterans in the upstate and surrounding areas. We show our honor and support to these heroes by offering a program that flies our World War II and Korean War veterans to Washington, DC, to see the memorials built in their honor, and to experience recognition for their service that literally saved the world. With our veterans dying at astonishing rates each day, time is of the essence. We must have the support of those who will volunteer their time, guardians who are willing to pay their own way to travel with and assist the veterans, and donors who will help provide the funding for the veterans as these trips are completely free to our WWII and Korean War veterans. Honor Flight Upstate SC has flown over 1200 veterans to Washington, DC since May, 2008. Many financial supporters in the community have helped us complete this task. We currently have over 100 applications from WWII and Korean War veterans who wish to fly DC with us. We need your help. It takes $750 to send a WWII veteran on this trip, covering their plane ticket, bus transportation around DC, food and other incidental needs. Will you please help us secure a flight for the veterans on our waiting list? Thank you for remembering our “Greatest Generation” of heroes.